When you become a Preciosa Authorized Partner, you become an officially recognized and approved member of the Preciosa network of distributors, vendors, resellers and manufactures around the world. We typically reserve this status for our key customers, many of whom we have worked with for decades. 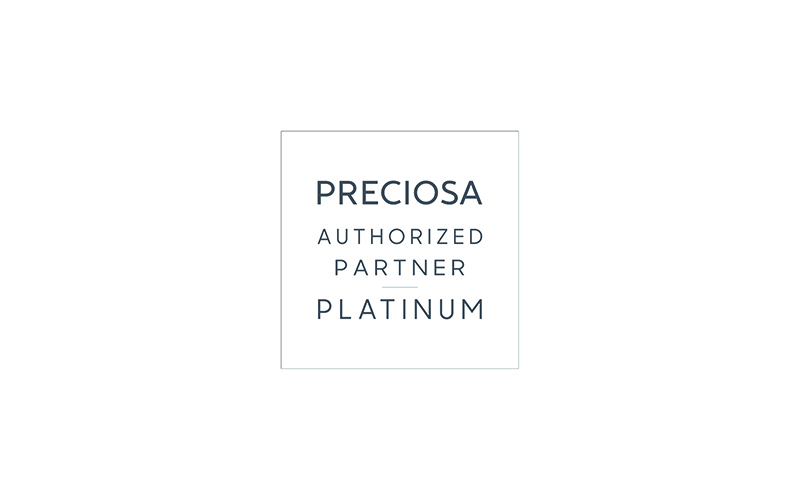 Our Authorized Partner certification guarantees to your customers that you are reliable, trustworthy, and have a close working relationship with Preciosa. It is also a testament that the products you offer are 100% made by Preciosa, and that they are of the highest quality. Our Platinum certification is the highest status our partners can achieve. This is exclusively reserved for our most important, prestigious and trusted customers. As a Platinum Authorized Partner, we give you premium, unlimited access to our full range of benefits, including: access to customized production, the Preciosa inspiration & innovation platform, our extended marketing menu, mini design box, our special sales scheme, and the unique opportunity to purchase and review the coming season’s novelties ahead of time. Platinum partners can be easily identified by our official, signed certificates with the Platinum seal. 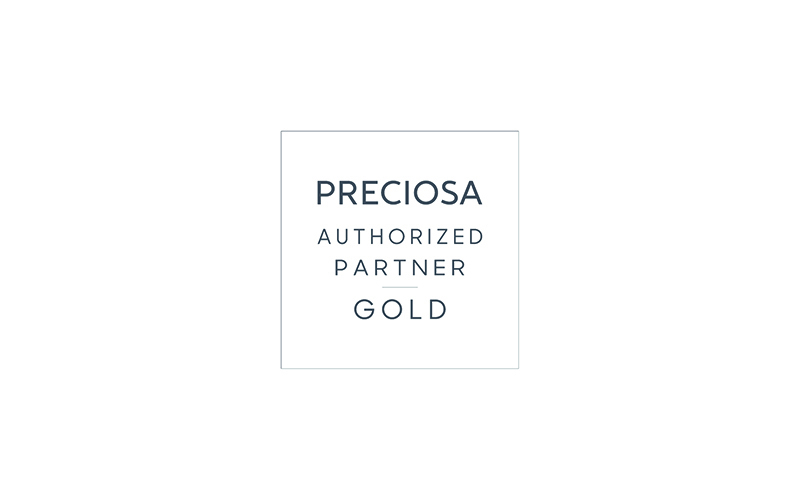 Our prestigious Gold certification signifies that you are a highly regarded, trusted and highly valuable partner in the Preciosa network. This status guarantees that the goods you offer are 100% Bohemian- made, and will also grant you increased (but still limited) access to our customized production department, the Preciosa Inspiration & Innovation platform, our marketing menu, mini design box, and the opportunity to preview some of our seasonal novelties. Gold partners can be easily identified by our official, signed certificates with the Gold seal. 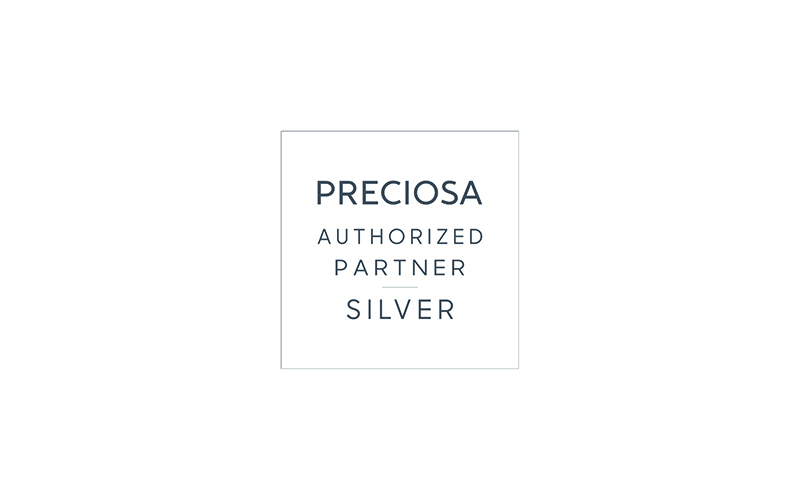 Our Silver certification signifies that you are a trusted partner in the Preciosa network of distributors,vendors, resellers and manufactures. It serves as a guarantee that the goods you offer are 100% Bohemian-made, and will grant you limited access to customized production, the Preciosa Inspiration & Innovation platform, or our marketing menu. You may also be allowed to preview a limited number of Preciosa seasonal novelties before they are released. Silver partners can be easily identified by our official, signed certificates with the Silver seal.